In my mind, Cinnamon is this powder I put on the top of whip cream on my coffee. It is cinnamon cookies, what right does she have to clarify my misinterpret understanding of Cinnamon. Cinnamon comes in small can. I am not eating wood … am I? 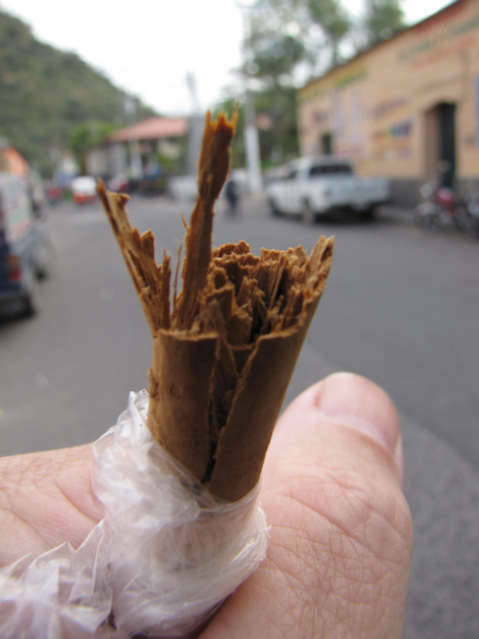 I enjoy munching on these sticks of Cinnamon sold in most countries I visit in the Tropics. 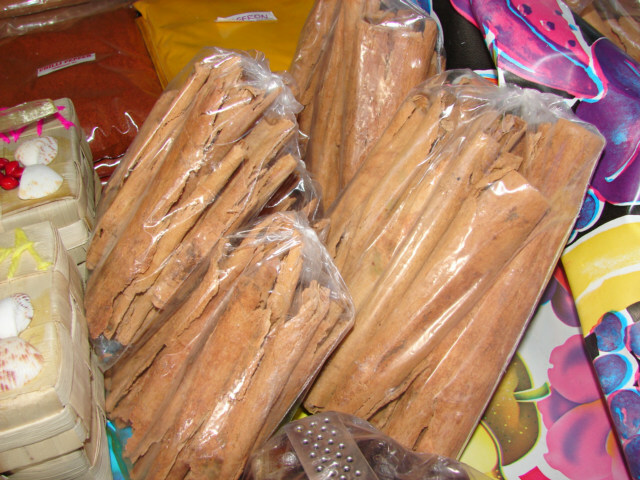 This is a bag of Cinnamon wood, ok, I will admit it, and I am addicted to eating wood. What do the people who put this in cans do, grind it up into powder and then we sprinkle wood on the top of the whip cream of my coffee.